To be a great teacher, it is very important that you know your worth, and the role you play in the lives of the students and pupils. You should love the students, care for them and always be ready to answer their questions. It is important to know that all students are don’t have the same IQ and learning ability and therefore every student should be handled with care and in a unique manner. Time management: You need to be on time as someone waiting for you, unlike classroom student will not going to pay you if you are not on time and you can loose your opportunity too. Strict with Course: Make sure to complete course on time as most of student joined you to get good grade. so make sure to strict with course and complete on time. Use Right piece of tools: While teaching if your microphone or webcam stop working or not properly working then it may affect your tutoring job,so make sure to use proper accessories. 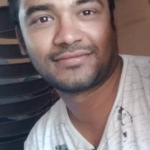 Communicate properly: Communication play a great role in teaching jobs and when it comes to online then it will help you to get more offer as well as keep your tutoring job safe. If you are teaching more than 1 student then you need to teach in such way that everyone can understand and ask their doubts. You should be conscious of the fact that the students are not in their classrooms, but rather in the computer labs, cyber cafés and even at their various homes. You should also choose silent area so that your students won’t be disturbed with background noise. Online tutoring is not only depend on your skill but also depends on what all tools you are using . So here we are writing few tools which help you in this profession. Drop Box and Google Drive: This is a tool that allows you to collect assignments and other submissions in docx, pdf, or other formats from your students. It’s used by the websites to collect submissions from different sources at the same time. Students can upload their assignments on drop box or Google drive and just share the links to you. You can check here Google drive. Instant Messaging: This is very essential. It helps you to communicate with the students easily and faster. You can use the Instant Messenger, Facebook, WhatsApp and many others. It is used to give students assignments, collect the assignments, and most importantly, teach them. Course Management System: These include syllables and other tools. It helps you to organize yourself and make sure you don’t teach off your requirements. It also helps the students to be learning the same things with their counterparts in the outside world. 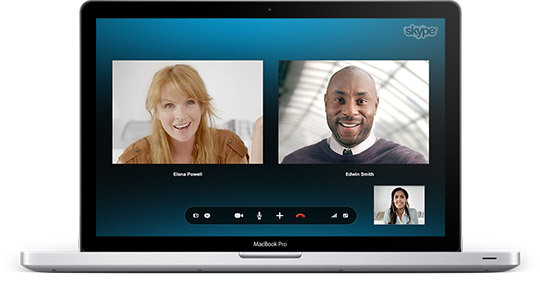 Skype: One good thing about Skype is that it’s free to use for video calls and voice chatting. It’ll allow you to take screenshots during the video session, type in messages, share files with you students and other things. To add fun to the lecture, you can also include emoticons while sending your messages. You can here sign up skype . You can also use Google hangout as tool for online teaching. Microphone: Apart from Skype, you also need a good microphone. This will enhance communication with the students. If your sound good then your student good. 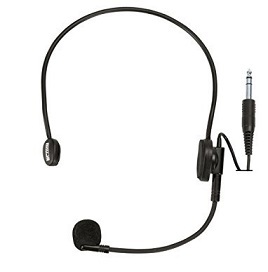 You can buy a good piece of microphone from amazon. Online Whiteboards: It works virtually like the physical whiteboards. It helps the teachers to illustrate some things to the students. Some good examples of free whiteboard apps include Stoodle, Pixiclip, and Real Time Board. You can also check our post on top whiteboard video creation tools. It will help your student to understand better. YouTube: This also helps you to teach the students. You can upload helpful, instructional videos and tell the students to watch them as an assignment. Email: They can send their assignments as attachments to you, and then you download them and review. Web 2.0 Tools: Web 2.0 tools such as blogs and wikis are also priorities. You can lay hold on any one and use it to enhance your lessons. A good example of a free blog creator is blogger.com. Videos and Podcasts: You should also give your students access to various videos and audio recordings. This is to enhance understanding. Business Management Software: Business management software like Teachworks is essential as they help you manage your teaching career. It can help you manage training calendars, schedule tutorial periods, and also automate receipts for payments and billings. Screen recording: This tool will help you in recording your screen while teaching and it will allow your student to go through your teaching lesson again. You can use Camtasia ($99 for Mac, $299 for PC) and Screencast-O-Matic (free for 15 minutes or less, $15/year for unlimited) tool. You can also use other tools like classroom20(social network for teacher). If you are using other online tutoring tools then please write in comment.